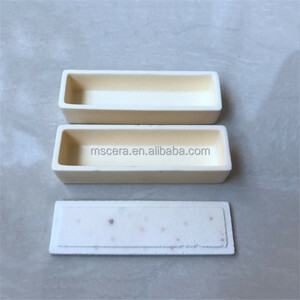 Alumina ceramic crucible, Alumina crucible, Zirconia crucible 99.5% alumina ceramic tray/ceramic crucible/alumina tray Various sizes available!! Features: 1. Stocks at different sizes avalible 2. Best quality 3. Competitive price 4. Raw material from China, Australia, Germany , France 5. Alumina content: 45--99.95%; Zirconia: 70--99.9% Conical Ceramic Crucible No. C 20 16 30 5 30 26 40 15 35 30 50 30 40 36 60 60 50 44 75 110 65 55 100 270 85 75 150 700 125 110 220 2200 We can make other sizes according to your request. 2. Large quantity mould in stock, you will find a suitable one. 4. Inspection: each single crucible and boat will be checked before shipping. 2. If tolerance is not same with what we discussed, we will send replacements. Refractory Round Shape Ceramic Tray For Melting High Purity Al2O3 Alumina Ceramic Part is used for testing laboratory and a variety of industrial analysis. , Ltd is located in Zibo City of Shandong province, it is a professional company for industrial ceramics and special ceramics in China. We can supply the effective solution of fine ceramic field with high quality products and good service to meet all the requests of customers. 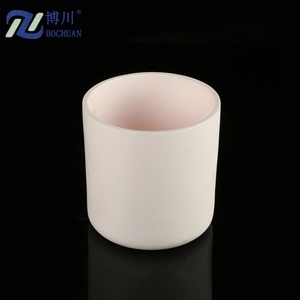 High Purity Alumina Ceramic Crucible is used for testing laboratory and a variety of industrial analysis. 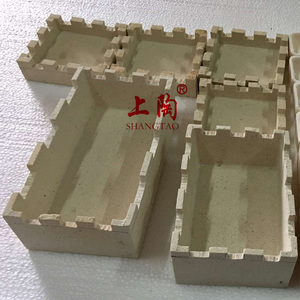 Alumina Ceramic Crucible description: We can produce Alumina ceramic crucible as per the dimension or drawings of the customers. 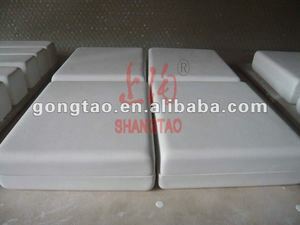 Other Alumina ceramic crucible for choice: Notice for Using Alumina Ceramic Crucible: 1. Alumina products are fragile. 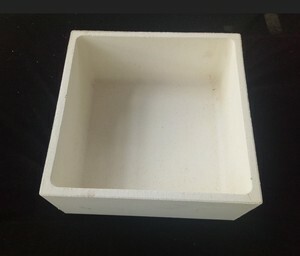 Zhengzhou Yuanjie Chemical Co., Ltd.
high purity 95 99 alumina ceramic crucible al2o3 tray STA High Purity Alumina Ceramic tray are used for testing laboratory and a variety of industrial analysis. Large quantity Crucibles in stock ensured fast delivery Large capacity reduce crucible prices After-Sale service 1) 24 hours service for customers. 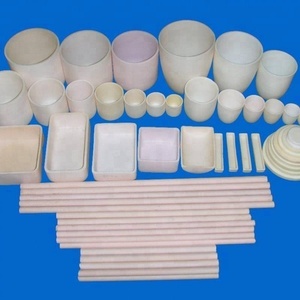 We are a professional manufacturer of alumina ceramic crucible ,tube ,plate and parts. 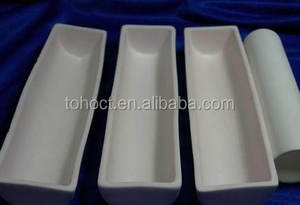 Alibaba.com offers 698 ceramic crucible tray products. About 91% of these are ceramics, 1% are dishes & plates. 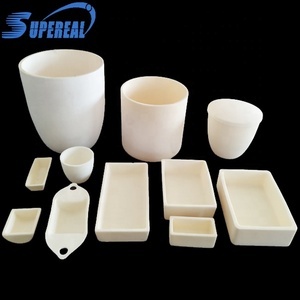 A wide variety of ceramic crucible tray options are available to you, such as ceramic parts, ceramic raw materials. You can also choose from free samples, paid samples. 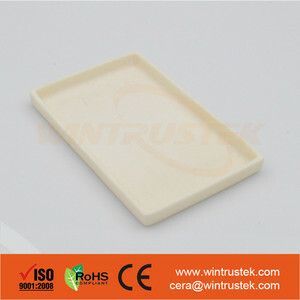 There are 699 ceramic crucible tray suppliers, mainly located in Asia. The top supplying countries are China (Mainland), Japan, and Malaysia, which supply 99%, 1%, and 1% of ceramic crucible tray respectively. 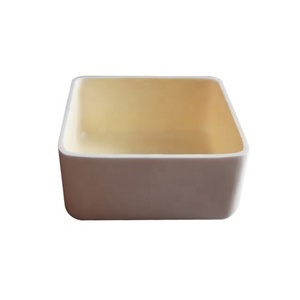 Ceramic crucible tray products are most popular in North America, Southeast Asia, and Mid East. You can ensure product safety by selecting from certified suppliers, including 171 with Other, 139 with ISO9001, and 1 with ISO13485 certification.